Disclaimer: This post is sponsored in conjunction with PumpkinWeek . I received product samples from sponsor companies to aid in the creation of the PumpkinWeek recipes. All opinions are mine alone. When I was a kid I read a book where the guy took the girl out to a fancy restaurant and they had creme brulee for dessert. I had never heard of it before then, but needed to know what it was right away. I’ll show my age here and say this was before the days of Google so I had to resort to asking my aunt and uncle who knew a lot more about food than me and had been to quiet a few fancy restaurants in their lifetime. They told me that it was a pudding-like recipe with a shell of crispy sugar on top that you had to crack into to get to the custard. I was intrigued. 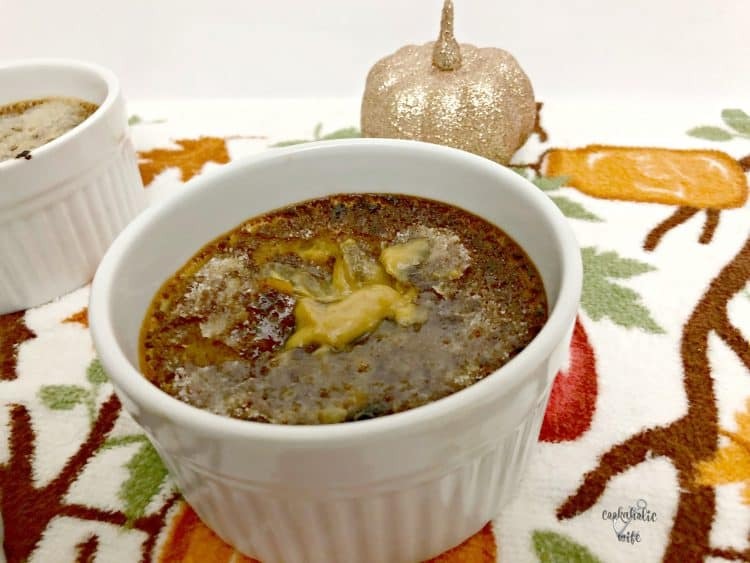 It was many years later before I ever went to a restaurant that served creme brulee, but when I saw it on the menu, I knew that I had to get it. And I immediately fell in love and it has been my go-to dessert when offered at any restaurant. 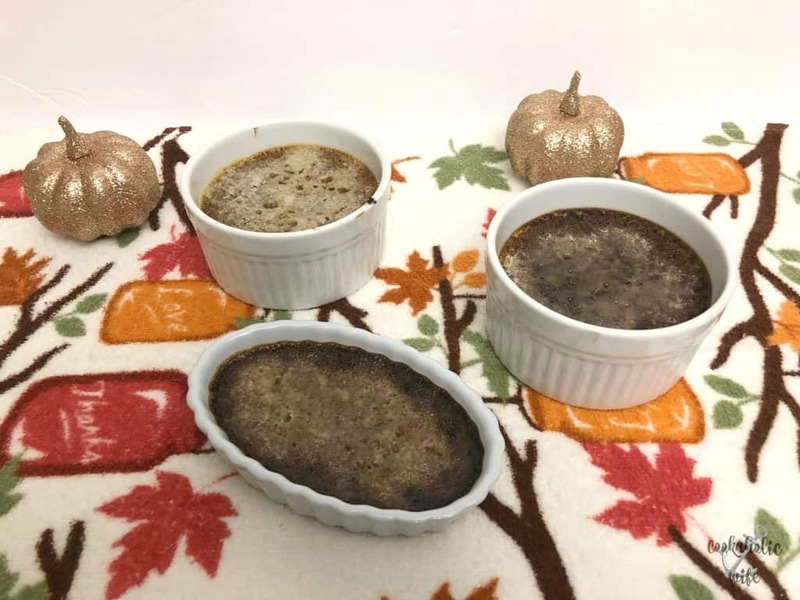 When I saw a recipe for a pumpkin flavored creme brulee, I couldn’t believe that I had never thought to make it before. 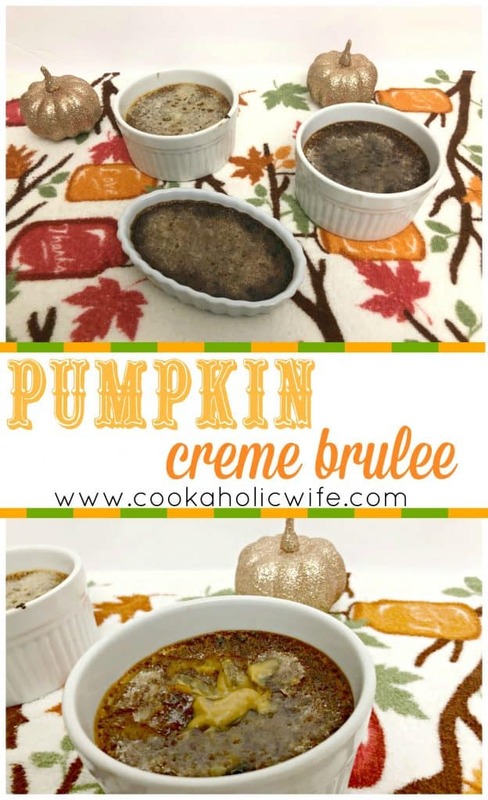 I love pumpkin and I love creme brulee! Custardy creme brulee becomes a dish great for fall when pumpkin and fall spices are added. Preheat the oven to 325 degrees. Place 4 ramekins in a large baking dish. Pour hot water around the dishes, covering them halfway. In a medium bowl, whisk together the brown sugar and egg yolks until combined. While whisking, pour in the heavy cream. Add the pumpkin puree, vanilla, pumpkin pie spice and salt and whisk until fully combined. Pour the mixture into the ramekins, filling each 2/3 of the way full. Bake for 35-40 minutes or until just set. Allow to cool until you can handle them, then transfer to the refrigerator for at least 4 hours, but up to overnight. Divide the sugar between the ramekins, sprinkling in an even layer. 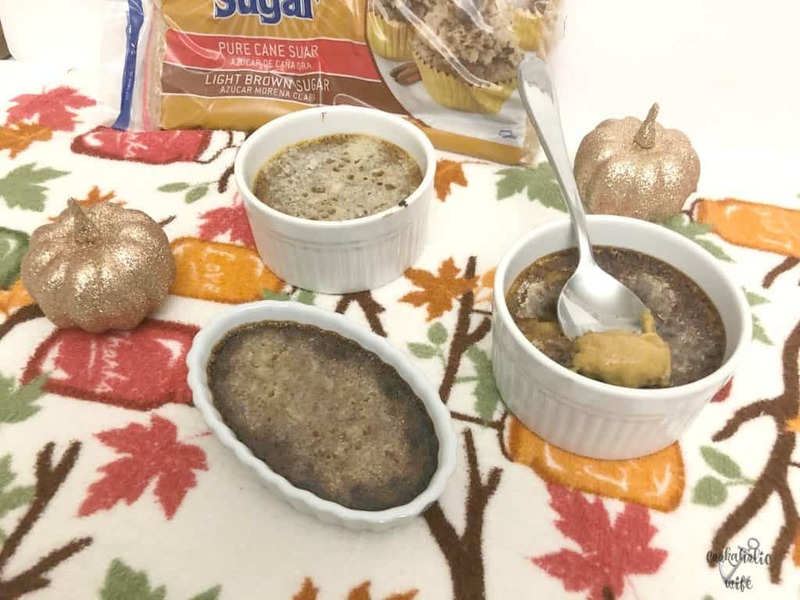 Caramelize the sugar using a kitchen torch, or place ramekins under the broiler for 2-3 minutes, watching carefully to make sure the sugar doesn’t burn. Serve immediately, or refrigerate until ready to serve. Savory Loaded Pumpkin Cornbread from Who Needs A Cape?